The Millennium is pleased to announce the launch of a one on one championship at this year’s events, starting in Puget. The event will be high profile with as many games as possible being played on the CPL field & covered by the Millennium TV Webcast. It has been designed to reward the best players in the world. The system is simple; entry will cost €30 per player with a prize purse of €1000 cash to the winner and the title of Millennium World Player Champion. Each round will be a straight knock out and players will be drawn at random on a pre-designed number system. As each round must result in a clear win and in order to encourage good, entertaining movement, if both players are alive at the end of the 2 minute match, the one nearest the opponent’s start base will be declared the winner. When you register you will receive a number from a hat, once all the numbers are allocated you will be able to see your opponent for the first round, and the draw for any subsequent rounds. For Puget, entry will be limited to 32 players, and will open on Friday 4th April at 5pm. There will be limits on number of players from an individual team in order to allow an opportunity for players at any level to test their skills. On the Friday registration there will be a limit of 2 players per team, if on the Saturday morning there are still places available, these will be open to all, including non-Millennium players, on a first come first served basis. 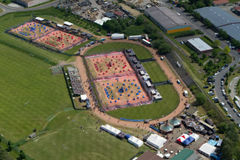 The Millennium are pleased to confirm that we will once again return to Sportschule Sportpark in Bitburg, Germany. This venue has always proved popular in past years, and we expect a record team attendance for this event in 2014. 2013 team numbers for this event were the largest of the season, and in 2014 with the introduction of further competitions new for this upcoming season, the event is certain to be one of the largest we’ve ever held in Germany. 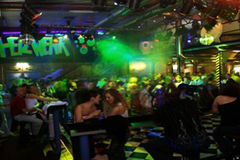 Accommodation deals for onsite hotels are again offered to the MS by both the Eifelstern Hotel and the Hotel Sportschule Bitburg, meaning hire cars are not necessary and leading to a great atmosphere in the evenings, particularly the infamous Party Nights at the Eifelstern!! The European Masters will also host our 15th Anniversary Players Party, further details to follow, but if you’re a team looking for a weekend of exciting paintball action alongside the best paintball teams in the world, a perfect flat playing surface and a party atmosphere, then this is an event you should not miss! On site accommodation for the Mediterranean Cup will again be provided by Parc Saint-James, Oasis Village. A variety of accommodation types can be found scattered throughout the park, with a centre village providing a shop, restaurant and bar. No need for a hire car if you choose to stay on site and make the most of the atmosphere! Budget Option – Accommodation and heating is provided plus parking for 1 car. Not included – Bed linen, towels, cleaning. This is ideal for teams travelling by car and able to take their own linen/sleeping bags and towels. Please read the options carefully, to ensure you select the correct option for your needs! Booking form to be completed and returned by mail to oasis@camping-parcsaintjames.com. Please Note - Full payment is taken at the time of booking. There is an optional cancellation insurance that you can add on to your booking if desired. We strongly recommend that you secure this accommodation quickly. Further hotel information will be published shortly. 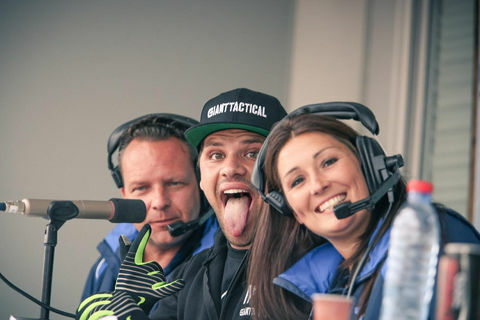 Millennium TV is pleased to announce its commentary team for the 2014 season, which will ensure the best and most entertaining paintball webcast yet seen. Maurice Van Den Akker: Maurice started with the MS live crowd commentary in 2012, joining MS TV webcast from the first event in 2013. Maurice, being Dutch but living on the French Riviera, can speak four languages fluently, (French, Dutch, German & English), bringing a truly International element to the commentary. 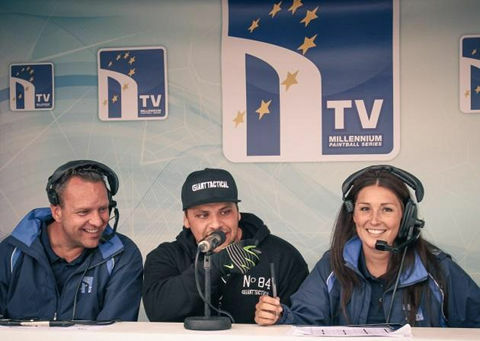 With his languages, his knowledge of Paintball & knowing the people involved in the World Paintball scene, Maurice was an obvious choice for the 2014 MS TV webcast. Maurice started in paintball many years ago, visiting all major tournaments & managing teams like Nextgen and Toulouse TONTON 2. He was also very active in Euroref, reffing the for The French Championship, the Ligue National de Paintball (LNP) and the local PACA leagues for the past 5 years. Maurice started his involvement with webcasting at the Millennium Malaga event in 2009 for SOP TV as well as working on videos for his home team Toulouse TONTONS. Maurice did a great job in 2013, ensuring massive improvements in the overall webcast event by event, bringing in excellent guests with which he interacted exceptionally well. Bear Degidio: Many will already know Bear (aka Mr Worldwide), he has been involved with Paintball almost since he was born, playing his first event at 8 years and his first Pro event at 11 becoming the youngest pro player ever to play in professional 10 man events. Bear has been featured in multiple Xbox & Playstation games as well as apps & TV shows as a professional player and paintball personality. He has played professionally for many years being a double NPPL All Star and world champion. 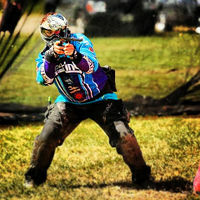 In addition Bear is CEO of one of the largest paintball park chains worldwide, Giant Sportz, with the world’s best fields like Hollywood Sports Park & the infamous SC Village. Bear lives paintball 24/7. In 2013 he featured as a guest on the MS TV webcast, providing entertaining & insightful commentary. You can follow Bear on Instagram/Twitter @BearDegidio or by email to; bear@millennium-series.com. Shelley Farmer: Shelley has had an incredible impact on our MSTV Webcast, since joining it as one of the main presenters for the 2013 season. She is a skilled and knowledgeable presenter and has helped to vastly improve the content of our webcasts. Shelley is a natural choice to present MSTV once again in 2014, and for 2014 we will capitalise on her knowledge and experience further. Shelley will also now be a link between us and the players to enable us to constantly review and adapt our events, to help make the Millennium Series, THE events not to be missed. 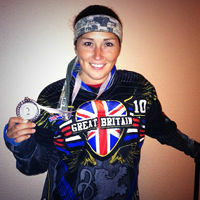 Shelley was always going to be involved in Paintball having been introduced to the sport by her Father (a player for the infamous UK Predators) and Step-Father (a Pro player for Shockwave UK and the All Americans), she began playing at the age of 8. Aged 14 she competed in her first tournament, and has now competed in a vast number of events, for teams such as Wolf UK, London Tigers AM, MK Storm and Celtic Banshees. She currently plays for London Tigers, guests for Destiny in the US and is part of Team GB. This World Class commentary team will be working hard in 2014 as many changes are being made to the webcast, allowing the audience in the grandstands to watch it and hear the commentary between points, extra events such as the one on one Championship etc..
To further enhance the quality and professionalism of the webcast the Millennium in conjunction with Radical Entertainment will have a fully equipped broadcast van at each event. We are pleased to announce that the Mediterranean Cup will be returning to Puget-sur-Argent in The Cote D’Azur, at the Park Saint James Oasis Village for 2014. 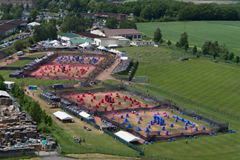 Since the summer, a large investment has been made to completely upgrade the venue making it Europe’s best paintball facilities, with 4 permanent fields with turf, air, water & electricity plus excellent Woodsball fields. • All Fields have been completely leveled & graded and all have permanent artificial turf. • New 200 car on-site parking. • Trade area laid out with permanent pathways, access routes, power & water points. • The venue is now rain proof. With the addition of new Woodland fields, we will be offering new Millennium Woodsball Open events, 5 Man semi, 5 Man pump & 3 Man. The 5 Man semi will be open to teams eliminated from the traditional Millennium event, who will be able to enter right up until Saturday evening. Details to be announced on the website shortly. On the Saturday night there will be a big players party and on the Sunday a one-on-one tournament, (limited to 32 players), to add to the festival atmosphere. 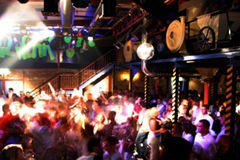 With on-site low cost accommodation available, on site restaurant and bar, no car hire is necessary. There is also a wide choice of local hotels to suit all budgets. For these dates flights are currently very reasonable making this a very economic tournament to attend, whilst at the same time being able to participate in one of the best quality events ever held. The Oasis Village and many of the nearby hotels will be offering Millennium customers an even better deal than last year. All these deals will be available through The Millennium website at the end of next week. This event will also see the biggest marketing campaign yet seen in paintball to ensure our sport receives the best possible publicity. This has been agreed with the Mayor and will include a huge number of 4x3m roadside signboards, video signboards, digital signboards, 1000’s of posters and flyers, banners, 100 spots on Virgin-NRG radio. ALL local TV and newspapers will heavily promote the event plus many other marketing agencies, ensuring we reach the biggest possible audience. With the backdrop of the Cote D’Azur & the Mediterranean sunshine, (hopefully), this should be a fantastic place to kick of our 15th anniversary season long party atmosphere. Remember, with the new 5 man breakout division, the Woodsball Open, the one-on-one, plus a few more surprises, there is something for everybody here who loves our sport. Watch out for more to come at The Mediterranean Cup 2014 as we have big plans to party, entertain & showcase paintball like never before. The Millennium Series is pleased to confirm that Shelley Farmer will be acting as the Millennium’s PR Representative with immediate effect. Shelley has had an incredible impact on our MSTV Webcast, since joining it as one of the main presenters for the 2013 season. She is a skilled and knowledgeable presenter and has helped to vastly improve the content of our webcasts. 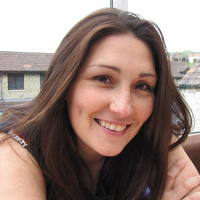 Shelley is a natural choice to present MSTV once again in 2014, and for 2014 we will capitalise on her knowledge and experience further. Shelley will also now be a link between us and the players to enable us to constantly review and adapt our events, to help make the Millennium Series, THE events not to be missed. Shelley was always going to be involved in Paintball................. having been introduced to the sport by her Father (a player for the infamous UK Predators) and Step-Father (a Pro player for Shockwave UK and the All Americans), she began playing at the age of 8. Aged 14 she competed in her first tournament, and has now competed in a vast number of events, for teams such as Wolf UK, London Tigers AM, MK Storm and Celtic Banshees. She currently plays for London Tigers, guests for Destiny in the US and is part of Team GB. Shelley is one of a number of individuals joining the Millennium, who are there to help make your playing experience better! You can follow Shelly on Instagram @shelleyfarmer and contact her through the MS Twitter page @millenniumpball Make sure to follow us to keep up to date with all the current news and information! For more information check out www.epbf.info ! The Millennium Series is pleased to announce the appointment of Tatiana Nikolaeva as our representative in Russia and the CIS States. Tatiana is very well known in the tournament paintball circuit in Russia as well as most other parts of Europe. Her love for our sport and her knowledge of International Paintball events from a team’s perspective will make her a big asset to the Millennium and to the teams. Tatiana will be there to answer any questions you may have, to assist with Visa issues and to help with proper and clear communication from The Millennium to our customers, the teams, and to ensure that players have an enjoyable, worthwhile & memorable experience at our events. Russian teams have become a very important part of not only European Paintball but worldwide and we hope to welcome as many as possible in the future. Tatiana is the first appointment in a series of regional Millennium representatives who will be announced shortly. 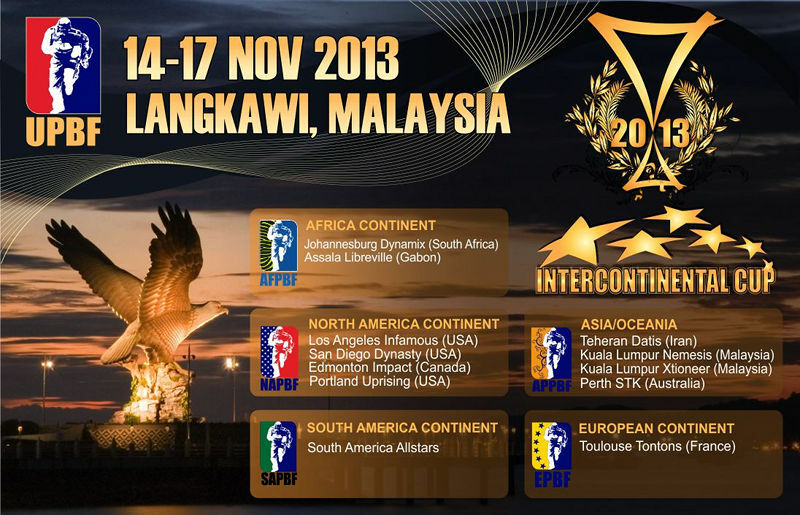 we are pleased to launch the 2014 Millennium Series. 2014 is the 15th Anniversary of the Millennium and we intend to make it a year of celebration of all that is good in our sport. Our emphasise will be centred on teams and the enjoyment of our sport. Parties, atmosphere, special events, quality fields, quality reffing and player facilities will be at the heart of our season. We have made some changes regarding the divisional options for the 2014 season in order to better emphasize the structure and options for players of varying levels of ability. To add to the atmosphere and to assist in the growth of our sport we will also be running several new formats during the season according to venue facilities including a 1 on 1 championship, Tactical Formula, Woodland competition, Pump, 3 Man etc. However, the main emphasise will be on a fun season long party atmosphere bringing together the old and new from the last 15 years. Over the next few weeks we will be announcing many new changes and the appointment of some new faces who are taking positions in The Millennium to ensure we provide the best possible product for the teams & leaseholders, our customers. 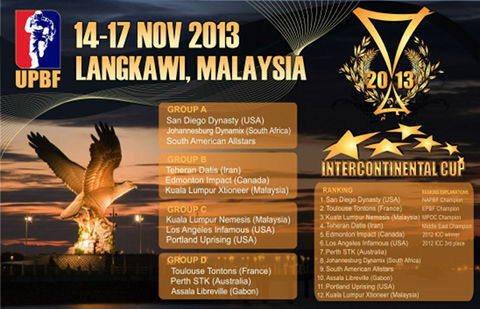 Has your team previously played a Millennium Series event, but did not play one of our 2013 events? If so, if you have 5 minutes, please take the time to visit the survey link below and complete our very quick questionnaire. If you haven't completed this already, please do so if you have the time! Your feedback is much appreciated. 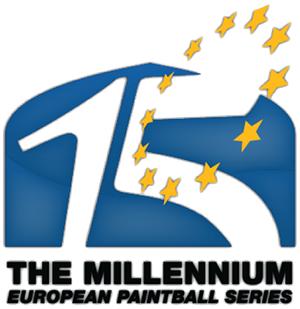 2014 marks the 15th Anniversary of the Millennium Series. Our aim is to make 2014 a season to remember, with our focus being on your enjoyment. By taking a couple of minutes to complete the survey, you'll help us to achieve our goal, by giving you what YOU want.